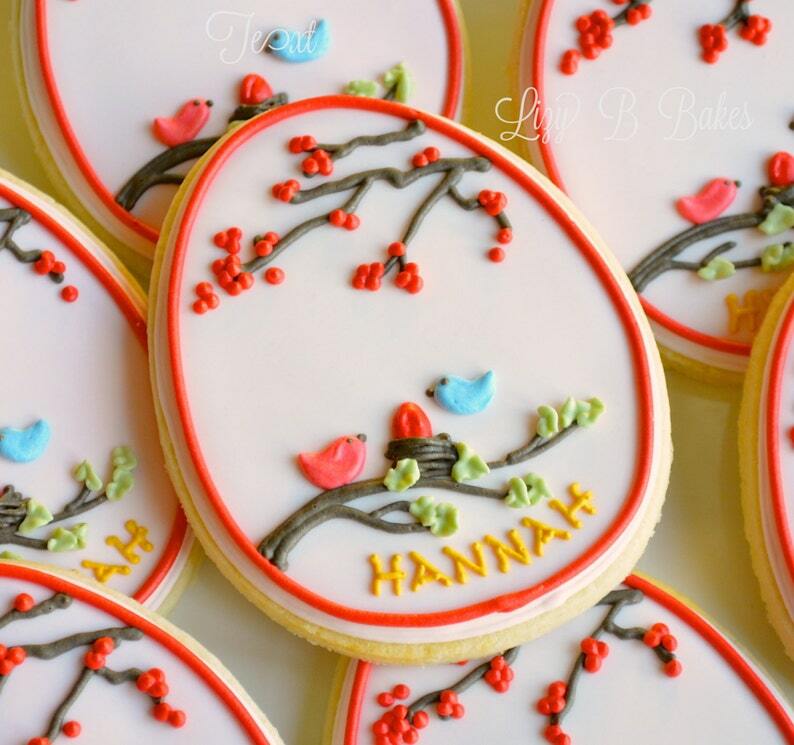 Personalized Baby cookies perfect for a Red Egg party, baby shower or sip'n'see! This listing is for 12 personalized egg shaped baby cookies. These have a pale pink background, but that option can be changed to background color of your choice. Cookies will be heat sealed in a crystal clear cello bag and tied with a matching organza bow. These cookies do not contain preservatives. Please keep them in their bags until ready to be served. They will stay fresh in their bags for 2-3 weeks. Extra are $5.00 each. Contact us to add additional cookies! Great tasting little cookies! I bought several and attached them to the bow of several different Christmas presents. A great little addition to the gifts!! The arrived just at the time that I requested them. 24 Mini Merry Christmas Cookies! 12 Monogrammed Lavender Heart Cookies! 12 Baptism or First Communion Cookies!